Marceline is on a rampage for mysterious reasons, and the kingdom of Ooo is desperately scrambling to stop her. In trying to save both Ooo and Marceline herself, Princess Bubblegum accidentally propels Marceline into the farthest reaches of space...and strips her of her powers! Guilt-ridden, Princess Bubblegum sets off on a space rescue that’ll test the power of her mind...as well as the power of friendship. Marceline and the Scream Queens was our first Adventure Time miniseries and we loved the tour Meredith Gran took us on. 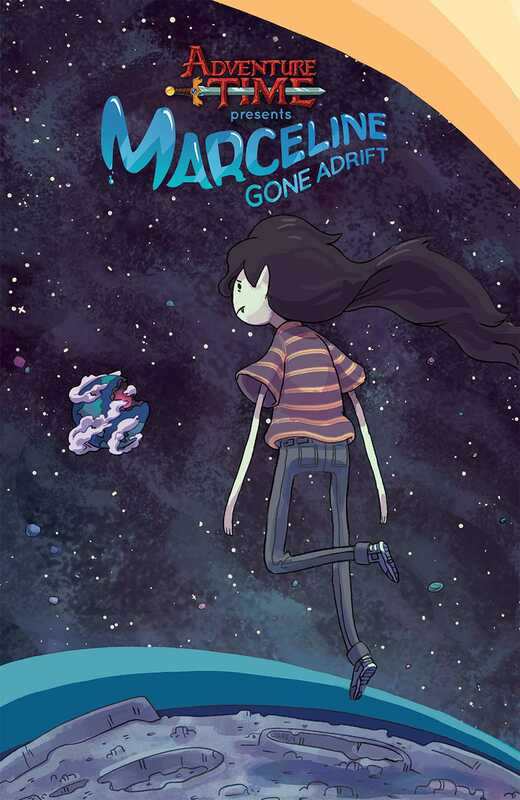 It’s definitely time for more Marceline and what better way to get everything rolling than with an epic that takes Marceline and Princess Bubblegum to the far corners of the world and into space! Meredith Gran (Octopus Pie) returns to tell Marceline's new tale with indie talent Carey Pietsch. Don't miss this chance to get great all-ages girl power in your life!